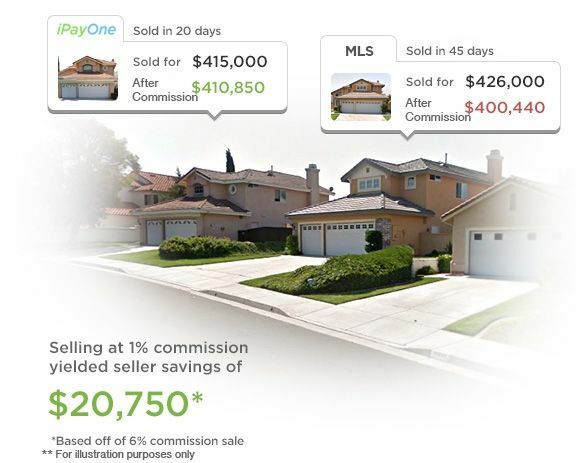 iPayOne - Find top realtors & agents that can sell your home for 1% commission! Why Pay More? Many Realtors in Your Area! Learn how much you can save if you sell your home, the iPayOne way! Thank you for inquiring about 1% option. We will notify you shortly. Thank you for inquiring about the 1% option. We will notify you shortly. Pay as low as 1% Commission to sell your Home! 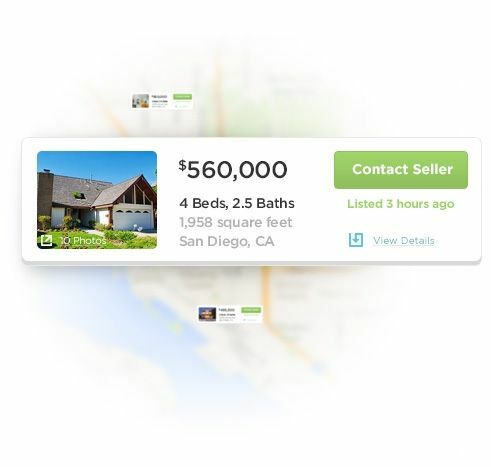 Born online in 2003, iPayOne changed the way people in Southern California sold their homes by being the first to offer the 1% total commission and the revolutionary “Menu of Services” which put the power to choose how their home was sold in the hands of the seller and not the agent. SOUND TOO GOOD TO BE TRUE? Well, iPayOne has already helped sellers save millions of dollars while providing local, professional representation. Homes don’t sell themselves. It takes great agents along with great marketing and with iPayOne you get both for less. Our iPayOne Agents will provide you a free Seller’s Guide to Savings and potentially save you thousands of dollars. Be the first to see new listings before they hit the open market through the iPayOne Buyer Advantage Program. Thank you for submitting your address. We will follow-up shortly with your valuation. This information is deemed reliable but not guaranteed. You should rely on this information only to decide whether or not to further investigate a particular property. BEFORE MAKING ANY OTHER DECISION, YOU SHOULD PERSONALLY INVESTIGATE THE FACTS (e.g. square footage and lot size) with the assistance of an appropriate professional. You may use this information only to identify properties you may be interested in investigating further. All uses except for personal, non-commercial use in accordance with the foregoing purpose are prohibited. Redistribution or copying of this information, any photographs or video tours is strictly prohibited. This information is derived from the Internet Data Exchange (IDX) service provided by Sandicor®. Displayed property listings may be held by a brokerage firm other than the broker and/or agent responsible for this display. The information and any photographs and video tours and the compilation from which they are derived is protected by copyright. Compilation © 2015 Sandicor®, Inc.